Ohio springs often bring strong winds. Living here for the past twenty-one years has given me several opportunities to experience the devastation that these powerful gusts can create. It was only a year ago about this time that a tornado ripped through our community, yanking trees out of the ground like dandelions, demolishing barns into a mess of mangled metal, and flattening farmhouses that had been long-time landmarks of productive rural life. One misplaced strong wind and a whole life-time of memories were instantly gone. The winds of life don’t come only in the spring. The dangers of being blown into a sinful path are always a real possibility, and our natural inclination to do wrong and suffer the consequences is just one bad decision away. A single misplaced word or action can be the cause of a ruined testimony, a crumbled relationship, or a missed opportunity. Yet there is a way to protect ourselves. Psalm 1 says, “Blessed is the man who does not walk in the counsel of the wicked, nor stand in the path of sinners, nor sit in the seat of scoffers.” When dealing with life we need to get out of the path of the storm. Don’t listen to counsel from those who do not understand or care about God’s word. Their worldly wisdom will be contrary to what God desires and will only cause grief. Instead delight in the the law of the Lord. Think about it day and night. For His testimonies are perfect, restoring the soul. His precepts make the simple person wise and enlighten the eyes to the truth. His commandments warn of impending danger. They keep His followers blameless and protect them from being ruled by their sinful nature that produces death (Psalm 19). Those who take these precautions will not be blown away with the storm. 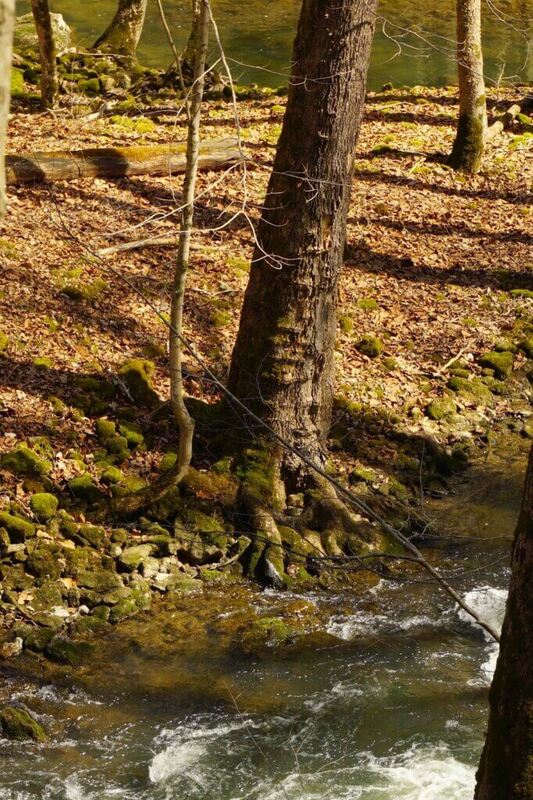 They will be like a tree firmly planted by streams of water. Their roots will grow deep into the rich soil where they will be supported and anchored against life’s strong winds. They will have the nourishment needed to produce beautiful leaves and bountiful fruit even in the midst of violent weather. And they can have the assurance that, though the wicked will be swept away when the judgment day comes, their way will be known to the Lord and they will prosper. It’s spring in Ohio! Batten down the hatches and get ready for some wind. But more importantly grow your life roots deep into God and His word. Then when the daily storms come, you will be anchored deep in Him.